The awareness that one is responsible for their own well being and fulfillment is paramount to healing the mind, body and soul. Try to focus your energy inward rather then outward for answers/solutions in any ailing issue in life. and keep 2 things in mind when you take your first steps to self improvement. The fact that everything in our daily lives is just a habit. Negative behavior relies on routines to stay strong. The best way to shatter bad habits is by removing just one of the many components. The key word here is discipline. Self discipline is the foundation of a more meaningful, and vibrant existence. Never believe or tell yourself there is nothing that you can change in your life, because we all can start or stop anything at the drop of a hat. Just focus on your boundlessness, not your limitations, and you can aspire to heal or be anything…..
Be cognizant of the fact that it takes the same amount of energy to hurt your self as it does to heal yourself. The impact of self healing is not just going to impact you but the earth as a whole. Your relationship with the earth and its inhabitants will send ripples of positivity into a society plagued by self doubt, judgement, drama, violence and aggression. When you choose a more healthy existence, you will realize that you will soon be supporting your well being and the well being of others also trying to better this earth. Our environment is a product of us, lets do our best to make it more enjoyable experience……. I strongly urge anyone to do Falun Gong as it has changed my journey more then any other meditation/traditional exercise , and Falun Dafa is also very easy for anyone with a medical condition but anything will do from martial arts to yoga; hiking to the treadmill. Get the heart rate up, energy flowing and stopping the internal dialog. I notice a quiet existence is also a peaceful one. Meditation calms the mind to allow for a more natural existence, where on can draw his/her conclusions from observation not subjectivity. Things to eat regularly: hemp and all its marvelous forms, organic as possible.Whole oats and grains, nuts and fruits and veggies, legumes and beans etc. Eat closest to the sun as possible. Coffees, teas and spices from organic or fair trade sources. Foods to Avoid: READ ALL THE LABELS! Everything artificial from sweeteners to preservatives and colours – especially aspartame (nutrasweet), and flouride. If its not real do not eat it. Glucose, fructose and white sugars. MSG is awful as well. Frozen or cold foods. Meat of all kinds. Animals suffer and waste from animal farms destroys our ecosystem. All genetically modified and altered foods. Monsanto soya products contribute to pesticide poisoning and rainforest clear cutting. All commercial coffee and byproducts should be avoided as well. Corporate soft drinks are very bad as well. Drink 600ml-100ml hot fluids in the morning, 1 hour before breakfast. Then with every meal. Keeping the vital organs warms aids digestion in so rerouting energy that the immune system and glandular and organ health. Keeping a hot inner core is so key to healing and helping yourself, and is a very easy thing to do. Depending on your ailment, a weekly to bi weekly visit to one of these practitioners will improve your life dramatically. Finding a strain specific to your condition(s) is very important. Some plants and their side effects may be detrimental to you. Depressed people should stay away from drowsy sleepy plants, and stick to more energetic and uplifting types, as the opposite is true, hyperactive people should stick to more “stoney plants” then cerebral highs in most cases. Sleepy Plants– afghanis and norther indian/mountanous variteties are good for sleep, meditative hunger/appetite, nausue etc. Not the most social experience. Uplifting Energetic Plants– hazes and sativas. 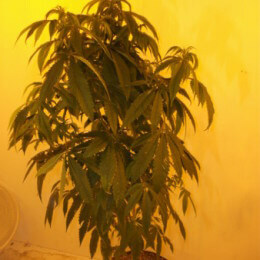 Equtorial plants have a more cerebral and energetic high. More social in nature for the active user. Mexiacan, columbian, thai, jamaican and african sativas/ hazes are awsome before a run, hike, jog, work out etc. Anything active. Pain killers – hashplants (kushes from afgahnistan.pakistan). Pain killing properties of these types are amazing. The edge taken off from head, muscle, ligament, back aches. any damaged or torn joints, tendons and ligaments. The effect is strong, and longlasting. Look for the more fuely/hashy/skunky specimens. Hashish and Oil (extracts) and Baked Goods – The psycho active effects of hash or oil. Resin from sativas and indicas are really seen more with taste and smell then anything. I prefer oil and hash smoked or eaten to to its very clear yet extremely strong effect. Without a lot of the side effects like munchies, burnout, paranoia and other common side effects of cannabis consumption. Oil smoked or eaten immediately gives me pain relief and a relaxed feel. Eating any baked cannabis is also very powerful as the nature of effect THC changes when cooked…..
All in all, making positive changes with your lifestyle is easy once started, and the rewards for yourself and the universe in and outside of you is priceless, and more then worth the effort taken…..